Are you researching an expat health insurance for Switzerland? It is important to inform yourself on the local healthcare system first. Whether you are moving to Switzerland or you are already living there as an expat, read our guide to the Swiss healthcare system and your different options of medical insurance for Switzerland. Switzerland is amongst one of the biggest spenders per capita in Europe on its residents’ health, and Swiss healthcare is renowned for being very good. As a result, however, Swiss health insurance is expensive for individuals: a source of controversy in the country. The Swiss health insurance scheme is called l’assurance maladie or LAMal (basic health insurance) in French, and is also known as KGV (Krankenversicherungsgesetz in German). It is governed by the Federal Law on Compulsory Health Care. 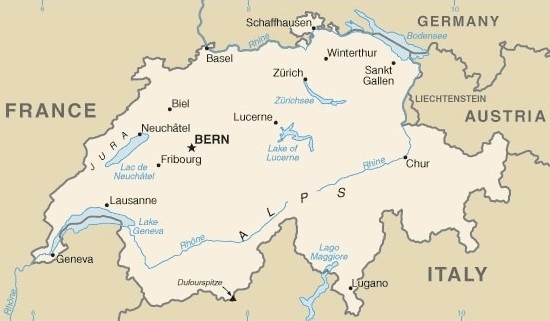 Cantons in Switzerland each have their own regulations for implementing this law. The LAMal operates in a semi-public, semi-private way: unlike other countries where health insurance services are managed by a public body, the Swiss basic health insurance is managed by private insurance companies strictly regulated by law and registered by the LAMal. These insurance companies, known as ‘sickness funds’ or ‘health insurers’, are not-for-profit. Unlike conventional private insurance, Swiss health insurance companies must accept any person residing in the region of their activity, regardless of age or state of health. Basic health insurance covers routine medical care, prescription drugs, hospital charges in shared rooms, maternity costs and other treatments in certain cases (for example vaccines, home care, health exams and gynaecology). A number of medical procedures such as dental care (excluding serious illnesses or accidents), optical care, physiotherapy and hospital care in private rooms are not reimbursed. Many Swiss people therefore take out additional insurance to cover these types of treatments. If you are residing in Switzerland, you have the obligation to join the LAMal within three months of arriving, and you must choose a basic insurance issued by a health insurance company. For a stay of less than three months, LAMal membership is not mandatory. Certain categories of foreign residents are not required to join the LAMal as long as they provide proof of equivalent foreign insurance. These include seconded workers and those in a period of training or development (students and trainees). People in certain other situations may be exempt from LAMal membership, but the rules vary according to the different cantons, so you will need to contact your canton of residence to find out more. If you have residency status in Switzerland, you must take out basic health insurance issued by a health insurance company and supervised by the KVG. You can also take out international health insurance so that you can be covered in your country of origin as well as other countries. An international health insurance in Switzerland allows you to be treated in the hospital and with the doctor of your choice, not only in Switzerland but also abroad (within the zone of cover of your insurance policy). Moreover, if after Switzerland you settle in another country, your expatriate health insurance may be able follow you. It is important to note that an international health insurance will not exempt you from subscribing to the KVG if it is obligatory for you. The private insurance policy will simply cover you on top of the KVG. Expat Assure helps you decide the most appropriate expat health insurance for Switzerland depending on your situation and needs. Don’t hesitate to contact us for your personalised health insurance comparison. If you would like wider financial protection in the event of stopping work due to an accident or disabling illness, Expat Assure can also advise you on expat life insurance for Switzerland and income protection. To find out more, please, read our page on income protection and life insurance for expatriates. What is the best health insurance for expats in Switzerland? 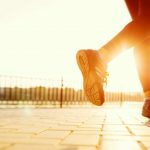 The best health insurance in Switzerland for another expat might not be the best for you, as everyone has different needs and expectations. In order to find which one is the best health insurance in Switzerland for you, it is important to consider several aspects such as your medical history, your age, your specific needs in terms of medical cover, your situation in Switzerland, alongside other parameters. Expat Assure helps you to find the international medical insurance for Switzerland that best suits your profile and needs. Contact us today to request your free an non-obligatory health insurance comparison. Medical costs in Switzerland are extremely high compared to certain other European countries, to the point where a certain number of Swiss people avoid going to the doctor, or choose to go to France for their treatment, especially in the case of dental care. If you are affiliated with LAMal, you must pay for your consultations out-of-pocket up to a certain amount before receiving basic health insurance coverage. This deductible is at least 300 Swiss francs (£230/$300) per year, but the amount may be higher depending on the insurance chosen (maximum 2,500 Swiss francs or £1,900/$2,500). Only maternity and children’s healthcare are not subject to a deductible. From the moment the medical bills during the year exceed the amount of the deductible, the health insurance covers the following expenses, of which you must still contribute 10%. This share is limited to 700 Swiss francs (£535/$700) per year or 350 francs (£270/$350) per year and per child. In the case of a hospital stay, adults must contribute 15 francs (£11/$15) per day. If you are a European traveller with a European health insurance card (EHIC), your participation will be 92 francs (£70/$92) for a period of 30 days and 15 francs per day in the case of a hospital stay (for children, only a participation of 33 francs or £25/$33 for a period of 30 days applies). Cost of a consultation with a doctor: The cost varies depending on the canton, but expect to pay around 18 francs (£14/$18) for the first five minutes. The rate then increases in increments of five minutes. A consultation of 20 minutes is therefore around 72 francs (£55/$72). Dentist: A check-up and descaling will cost around 300 francs (£230/$300). Hospital stay: A hospital stay amounts to 9,249 francs ($7,000/$9,200) – 2011 average of the Swiss Federal Statistics Office. Please note that these costs apply to people with Swiss health insurance (LAMal) and the European Health Insurance Card. In other cases, doctors may set their fees freely. How much does health insurance cost in Switzerland? Such as with any type of health insurance, the price of medical insurance in Switzerland varies greatly depending on the personal situation, the age and the medical history of each individual as well as other parameters. The level of your deductible and the options you choose also have an impact on the cost of your insurance. If you would like to have a precise estimation of the cost of international health insurance for Switzerland, which applies to your specific situation and needs, we can prepare for you a personalised comparison of different international health insurance plans. Contact us today for your free health insurance comparison. No specific vaccination is required to enter Switzerland but it is recommended to have an up-to-date vaccination schedule.